Say goodbye to multiple services. 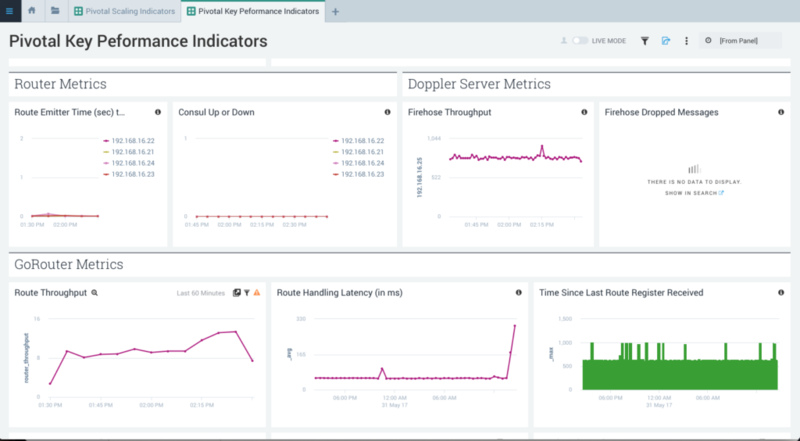 Get logs and metrics all in one place to analyze valuable app and system data in real-time. Visualize patterns about application health, system usage, and user behavior to keep cloud apps healthy and secure. 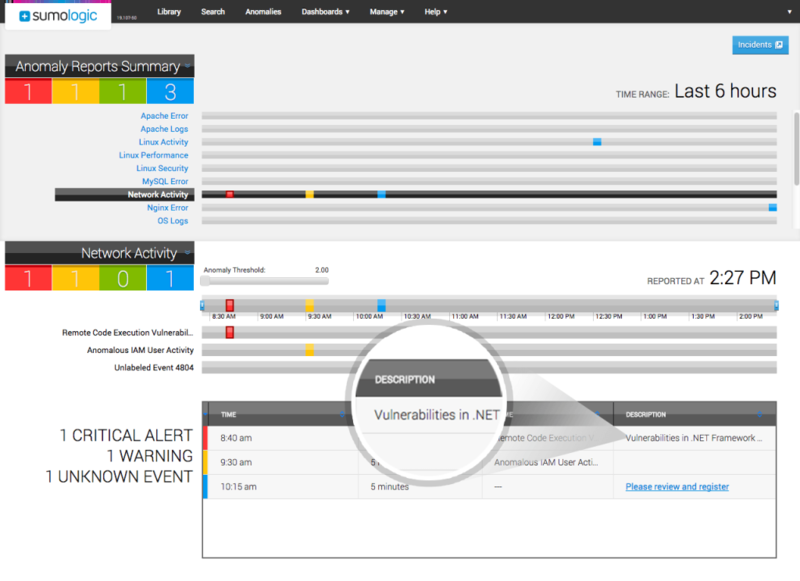 Use machine learning, outlier detection, and alerts to quickly identify and troubleshoot issues before they affect users. Pivotal Cloud Foundry, or PCF, is a cloud-native application platform-as-a-service that enables developers to quickly build and deploy applications into a multi-tenant environment on their choice of cloud. Loggregator, the Pivotal Cloud Foundry log system, collects logs and metrics from the Cloud Controller VM, router VM, and all VMs running apps into a structured form known as the Firehose. In the past, PCF users had to apply multiple separate nozzles to forward logs to one service and metrics to another service. But with the Sumo Logic Nozzle for Pivotal Cloud Foundry, you can ingest and analyze both types of data with one simple tool, freeing you from the hassle—and the cost—of managing two different tools. Check out our webinar to learn more about avoiding the pitfalls of microservices. The Sumo Logic Nozzle for PCF, currently in beta, uses the Cloud Foundry Loggregator to collate logs and metrics, then stream the data securely to the Sumo Logic analytics platform. The nozzle polls a Loggregator component on regular intervals, filters out messages based on your configuration, and securely sends the logs and metrics using a cloud-based HTTP API. PCF audit details are stored in a fully secure SOC 2, HIPAA, and PCI-compliant environment for secure monitoring, analysis, and troubleshooting. With PCF, you can deploy large-scale distributed systems in a fraction of the time. Developers can use different dev languages, integrations, frameworks, and design patterns without committing to a single cloud platform. DevOps teams can simplify infrastructure management, provisioning, OS patching, container orchestration, and security. Full stack visibility into applications, services, platform, and supporting infrastructure. Key diagnostics into performance issues within the platform itself. Simple troubleshooting options for operations issues that arise due to decoupled architecture in cloud environments. Sumo Logic’s advanced machine learning and analytics capabilities help you troubleshoot application issues with ease. Once you install the Sumo Logic Nozzle for Pivotal Cloud Foundry, you can ingest, search, and analyze PCF logs in a matter of minutes. 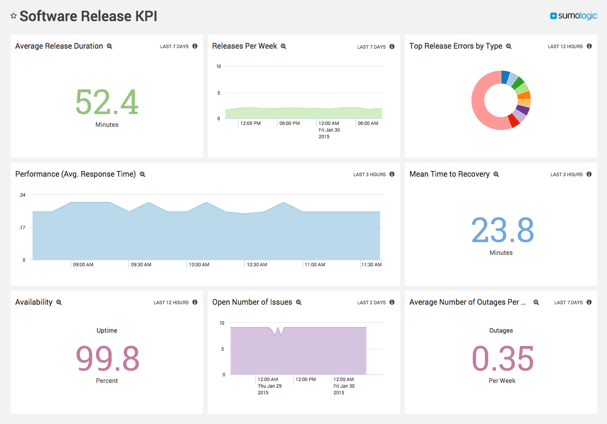 Sumo Logic offers pre-built dashboards to help you make the most of your unified logs and metrics. 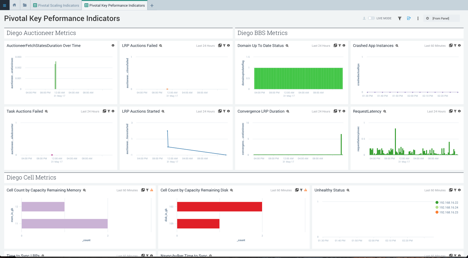 Look deeper into the health and security metrics of your resources, and drill down from alerts to see key performance metrics and audit logs for PCF and your custom apps. Download our white paper to learn more about building secure applications in the cloud. Diagnosing performance issues is difficult when you’re working with decoupled architectures and composable microservices. What’s more, application teams, security teams, and others may be unable—or reluctant—to share data to support other departments’ efforts. Sumo Logic believes in democratized analytics, giving everyone access to valuable data from the stack and cloud providers. Sumo Logic, a highly scalable SaaS log analytics platform, gives teams scale, security, and ubiquity of access they need to analyze PCF application data. Check out exclusive data-driven insights, best practices, and emerging trends from the Sumo Logic 'State of Modern Applications in the Cloud' report.